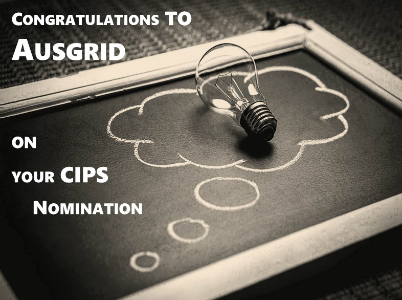 The Ausgrid procurement and logistics transition program received a nomination from the Chartered Institute of Procurement and Supply (CIPS) Australasia. The CIPS Awards recognise leadership and innovation in the field of procurement and supply. Ausgrid was shortlisted for the most improved procurement operation-step change category. Ausgrid embarked on an e-procurement journey as a critical piece of this program. Ausgrids’ e-procurement goal was to tackle the legacy of disparate and complex procurement processes with a new solution. Bloom Consulting was selected with partners Oxygen to deliver the e-procurement project on the SAP Ariba platform. Bloom provided SAP and Ariba solution design, process and policy improvement advice, change management support and business deployment services. SAP Ariba went live at Ausgrid on June 5th and the transformation is staggering. Two thirds of purchase requisitions are now approved within 24 hours, it previously it took up to 4 weeks. Ausgrid has achieved seamless integration with their back end financial ERP system reducing errors and manual processes. Ausgrid is also on their way to achieve compliance to policy and associated delegations. “Ausgrid has over $1b of spend under management, over 3000 suppliers and 400 users. Ausgrid deserves recognition for the enormous amount of hard work undertaken,” Abid Ali, Bloom Consulting managing director, “Bloom is proud to be part of the Ausgrid journey towards procurement excellence”.